Simon Young is a businessman. 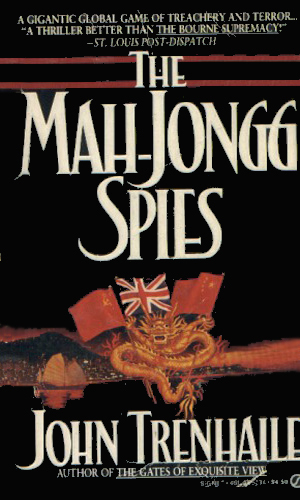 The three-book series about Simon Young is really a saga, on the order in magnitude of James Clavell's Tai-Pan. Espionage definitely plays a pivotal role and the international intrigue is there in abundance. The main theme behind the dramas is the machinations of Simon Young and his son, and later his daughter, as they strive to keep what is their family's in the ever-changing political landscape of Hong Kong, nearing return to Chinese control. Simon Young, married to a beautiful Oriental woman named Linny, is CEO of Ducannon Young, a conglomerate of several enterprises, including a large software business and a construction company. Based in Hong Kong, he is well aware that in a decade, the British control would end. The long-term question for Young is how his company would fare under the Chinese regime, if at all. In the meantime, ten years can be a long time to fight to survive and Young was determined to make that happen, not just for himself but for his ancestors and his descendants. The intrigue that occurs between the British, who are leaving, and the Chinese, who are eagerly anticipating control, is constantly present in all actions the Young’s take. Other than just walking away with nothing, a financial suicide, they have to not only play politics as they always would, they have to work the back channels to keep vital information fresh and accurate. Also in mix are Americans and Soviets, trying to either keep on top of the situation or to broker deals that may be nationally beneficial as well as personally rewarding. As the Red Chinese prepare to swallow up Hong Kong, the Soviets devise a plan to make the Colony answer to it. Simon Young, guarding his family's fortunes, must stop them both. 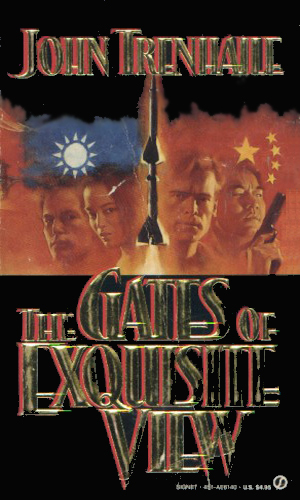 As Simon Young tries to cement his relations with the Chinese government, Red China is preparing to take back Taiwan and they need a powerful computer system that Young's son is also after. 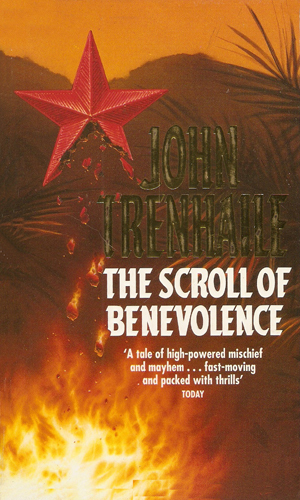 The Scroll of Benevolence is the codename for a scheme by the various financial empires in Hong Kong to flow their wealth out of the region before the Chinese take control but a Chinese general has a plan to steal the wealth in a bid for taking over the whole country. I really mean it when I say the quality and overall feel of these two books make me think of Clavell's exquisite works. Mr. Trenhaile's understanding of the Chinese culture as well as that of the West is a delight to read. His ability to blend in the intrigue and subterfuge is terrific. A fair of change happens in the three-book series showing the effects of actions taken earlier, another positive note on this series. When you read these books, read them in order and soon after each other to keep the many, many players straight. Since there are many characters and some have names that seem to overlap, it can get confusing but it is still very much worth it.